The monthly square themes have been bringing members together since 2009. 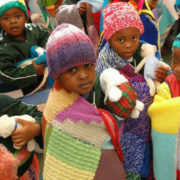 They give people a chance to craft more interesting squares, and add creativity, colour and variety to the blankets. It’s perfectly alright if you’d like to make your own style of square in your own colour choice. However, if you’re looking to spice up your square making, consider joining one of our monthly themes on the Square Circle Forum. 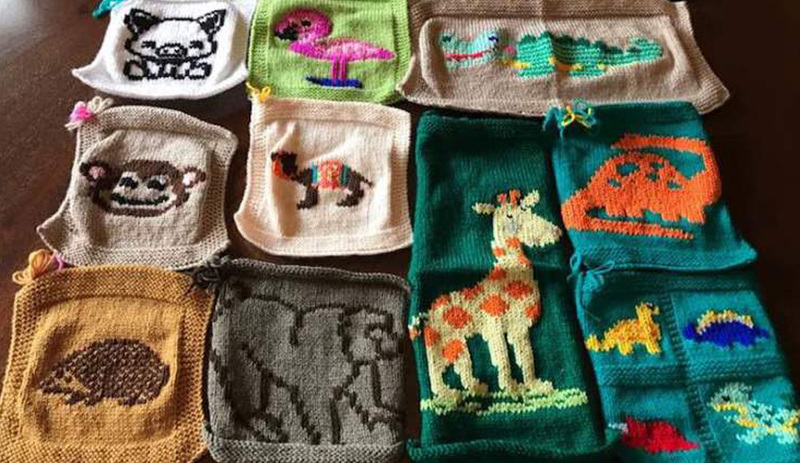 The remaining monthly square themes for this year are bound to inspire you on behalf of the children, who will soon be wrapped in the warm blankets your beautiful squares will make. January – Toys: Cute, Cuddly, Huggable Love; Time to fill up the KASBarn toy chest again, with lovingly made or caringly selected new and pre-loved toys. Squares in toy colours, picture squares or patterned that are representative of. February – A Slice of Africa; African-fabric-inspired designs/colours, traditional houses, cooking implements, flora and fauna unique to or commonly found, in Africa. March – A is for Apple; Educational squares using colours, letters, numbers, short words, appliques/pics. Anything that stimulates learning. April – Love is in the Air; Colours of love, stripes of red, pink and white, appliques and knitted/crocheted-in hearts, cupids, etc. May – Toe Tappin’ Finger Snappin’ Music; Djembe drums and other African musical instruments, piano keys, guitars, trumpets, musical notes, etc. and representative colour squares. June – Seasonal Delights; Squares in colours/designs that celebrate your favourite or least favourite season. Fruits, trees, flowers of South Africa. July – Emoji Fun; Emoji smiley faces and others, or representative colour squares. August – On the Farm; Farm animals, barns, machinery, scenes, colours that remind you of farms. September – Celestial Sensations; Planets, stars, moon, sun, rainbows, clouds, sky. Appliques, knitted/crocheted-in designs, colours of. Astrological star signs. October – Lucky Celebrations; This could include lucky symbols, e.g. shamrock for St. Patrick’s OR a solid green square, numbers, dice, horseshoe, or anniversaries using golden yellow/silver grey colours (or a motif). It could cover birthday, Christmas, International Days (flags), festival days, etc., with picture squares, solid or patterned squares. November – Road Safety; Colours of traffic lights, stop/go and other road signs, driving/roadway scenes. December – Clear the Decks; Yes, it’s approaching year’s end. Time to clear the decks with some stashbusting squares that are going to make room for your (yarn) Christmas pressies. 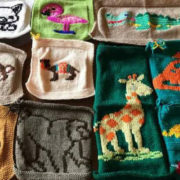 Post your photos on the Square Circle Forum’s discussion of the Knit-a-square’s monthly square theme to share your creativity and inspire other members. Your square could be featured on the KAS website’s photo gallery! We look forward to sharing your crafting creativity and compassion with others! Please post your question on the Square Circle forum. Items may be sent by courier to the above address, but please only use the postal address when sending to the SA Post Office.